This month, California Gov. Jerry Brown signed a bill into law that expands existing family leave laws to include employees of small businesses. Small businesses should begin preparing for the change in the law, which takes effect on January 1, 2018. Gov. Brown signed SB 63 into law on October 12, 2017. 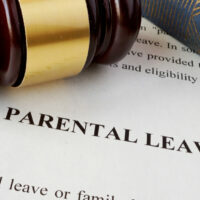 The law expands the right to unpaid family leave to employees of businesses with 20 to 49 employees, which encompasses 16% of the state’s workforce. That said, 90% of employers in the state have fewer than 20 employees; these workers are entitled to six weeks of leave under the law, but are not guaranteed to keep their job during their leave. The California Family Rights Act, or CFRA, currently provides employees with up to 12 weeks of unpaid leave for workers who wish to take care of a family member or require medical leave. The leave is currently available to workers who have both worked for their employer for at least 12 months and who have worked at least 1,250 hours during that 12 months. The leave is available for workers who are coping with their own medical condition, caring for a family member with a serious illness, or who wish to bond with their child during the 12 months after a birth, adoption, or placement via foster care. Prior to January 18, 2018, the right to leave applied to employers who had 50 or more employees within a 75-mile radius of the worksite. Workers may use their accrued paid time off, such as vacation or sick pay, during their 12-week leave, and they have a right to the same health care benefits as they would have received as an active employee. SB 63 specifies that the same rights outlined in the CFRA should apply to workers of employers with 20-50 employees. The new law also includes a provision which would require workers who wish to sue under this law to first engage in mediation with their employer, should the employer request it. Small businesses affected by the law are advised to begin preparing a compliant policy in advance of the law taking effect in just over two months. If you’re a California employer with questions about your rights and obligations under California labor and employment law, or an employee who believes you may have suffered illegal discrimination, contact the knowledgeable and seasoned Bay Area employment lawyers Richard Koss and Rand Stephens for a consultation, in Antioch at 925-757-1700, or in Redwood City at 650-722-7046.